The Paris prosecutors’ office ruled out arson and possible terror-related motives, and said it was treating it as an accident, The Associated Press reports. French President Emmanuel Macron addressed the nation on Monday night. 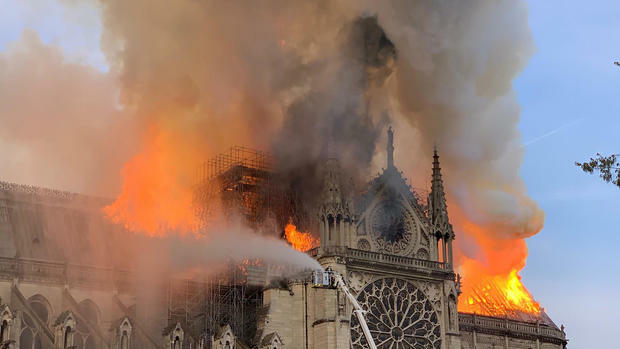 Macron called the fire a “terrible tragedy” and confirmed that the cathedral’s stone facade and two main towers avoided collapsing amid the destruction. “I’m telling you all tonight — we will rebuild this cathedral together. This is probably part of the French destiny. And we will do it in the next years. Starting tomorrow, a national donation scheme will be started that will extend beyond our borders,” Macron said. Christophe Girard, the deputy mayor of Paris in charge of culture, said the massive fire at the historic Notre Dame Cathedral is a “tragedy for the world.” He spoke with CBSN as the fire continued to burn, and said that some priceless paintings and other artifacts have been saved. The spire and roof collapsed, and the cathedral’s world-famous stained glass windows were destroyed. 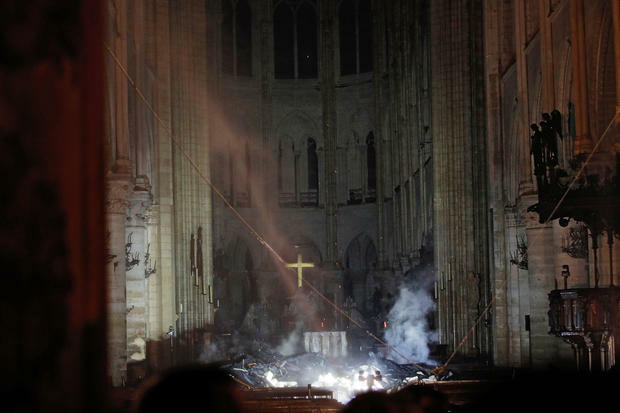 Some of the treasures inside Notre Dame were reported saved, although officials have yet to release a full inventory of what was saved from the fire and what was lost. 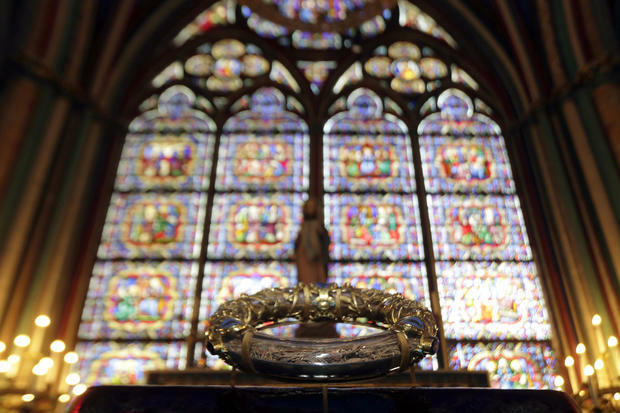 A centuries-old crown of thorns made from reeds and gold, and the tunic worn by Saint Louis, a 13th century king of France, were safely retrieved, Notre Dame’s top administrative cleric, Monsignor Patrick Chauvet said, according to Reuters. But firefighters had struggled to take down some of the cathedral’s large paintings in time, he said. 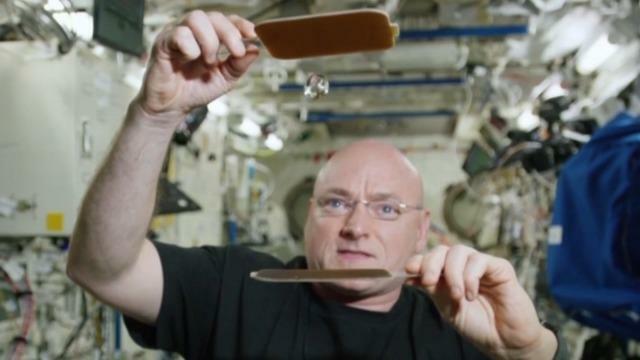 It had been undergoing renovations after cracks began to appear in the stone, sparking fears the structure could become unstable. 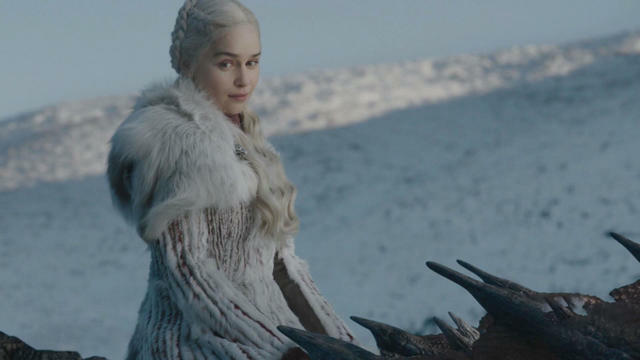 CBS News’ Roxana Saberi reported in March 2018 that years of rain, snow and pollution had eroded the flying buttresses that prop the cathedral up. 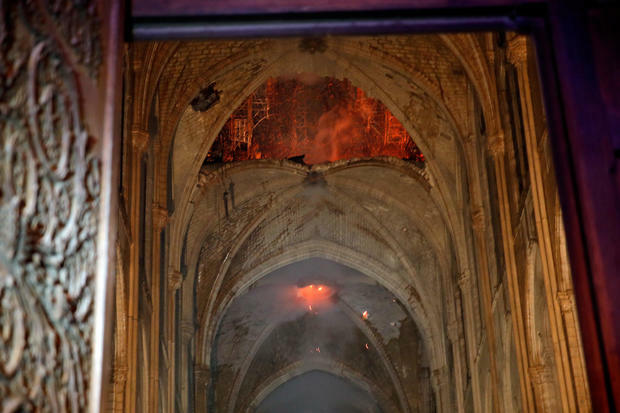 James Shepherd, director of preservation and facilities at the Washington National Cathedral, spoke with CBSN on Monday about Notre Dame’s epic history. “This is a culturally devastating moment for the city of Paris, the country and the world,” Shepherd said.